No. 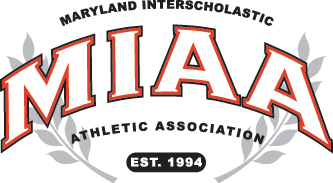 2 Calvert Hall pushed across a run in the bottom of sixth inning and then wiggled out of a major jam in the top of the seventh, Friday night at Carlo Crispino Stadium, to edge top-ranked Gilman, 3-2, and take over the top spot in the MIAA A Conference baseball standings. The Cardinals (19-7, 12-3) hold a half game lead over the Greyhounds as they prepare to close their regular season on Tuesday at Loyola. Gilman (21-10, 12-4) has concluded its league schedule and will be no worse than a second seed when the playoffs get underway. With one out in the sixth, the Cardinals loaded the bases with three consecutive singles and Alex Murphy scored what proved to be the winning run when Louis Copley’s infielder ground was not hit hard enough for the Greyhounds to turn a double play. In the top of the seventh with one out and two runners on base, Gilman’s Gavin Sheets short-hopped the right field fence with a laser line drive. Speedster Danny Blair, who was on second, waited to see if the ball would be caught and got a late jump. The relay from right-fielder Rich Farley to first-baseman Colin Gimblet and on to Murphy at the plate was just in time to nail Blair, in a bang-bang play, for the second out of the inning. Still in a tough spot, Cardinal pitcher Ben Deaver, who came on in the sixth in relief of starter Manny Rodriguez, walked Gilman’s Matt Tilley to load the bases, before getting Matt Slodzinski to fly out to right to end the game. Both teams created opportunities offensively, but Rodriguez and Gilman starter Ben Grace both did good jobs of limiting damage. Calvert Hall took a 1-0 lead in the bottom of the second when Farley led off with an infield single and took second on a throwing error. Copely moved Farley to third with a sac bunt and he came on to score when Grace uncorked a wild pitch. Gilman tied the game in the top of the third with a two out rally started by a walk to Blair. Blair promptly grabbed his second stolen baseball of the game and was chased home when Grace directed a soft liner into right-center field. The Cardinals broke the tie in the home half of the fourth when senior Robbie Jones put a charge into a Grace offering and drove the ball well over the left-centerfield fence, for a leadoff home run. Grace got the run back in the top of the fifth when he added his second RBI single of the contest. Grace, who kept Gilman in it throughout, with both his pitching arm and his bat, said both teams played very well. Cardinal head coach Lou Eckerl agreed with Grace’s assessment.